“Resistance is futile.” Amazon is offering Star Trek VIII: First Contact as a digital download purchase today for only $3.99 (normally $9.99). The eighth Star Trek motion picture, ‘First Contact’ sends the ‘Next Generation’ crew back in time to save the Earth against the cybernetic race called the Borg. Star Trek VIII: First Contact stars Patrick Stewart, Brent Spiner, LeVar Burton, Michael Dorn and Jonathan Frakes who also directed the film. The movie was first released to theaters by Paramount Pictures on November 22, 1996. Total run-time of the film is 1 hour 51 minutes. The digital purchase from Amazon allows you to download the film to two locations. 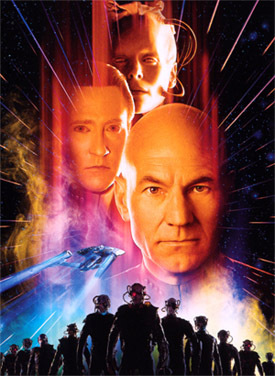 Use this link to get Star Trek VIII: First Contact for only $3.99.